Working in a producing theatre, it is not uncommon to hear a knock on the office door and find someone in full Elizabethan regalia, or perhaps dressed as a woodland sprite, behind it. Presumably, in most other fields this only happens in offices at Halloween, if at all. So being a theatre professional at New York Comic Con is simultaneously unsurprising and extremely heartwarming: it’s great to see non-professionals displaying all manner of largely homemade but often extraordinary costume finery in public. 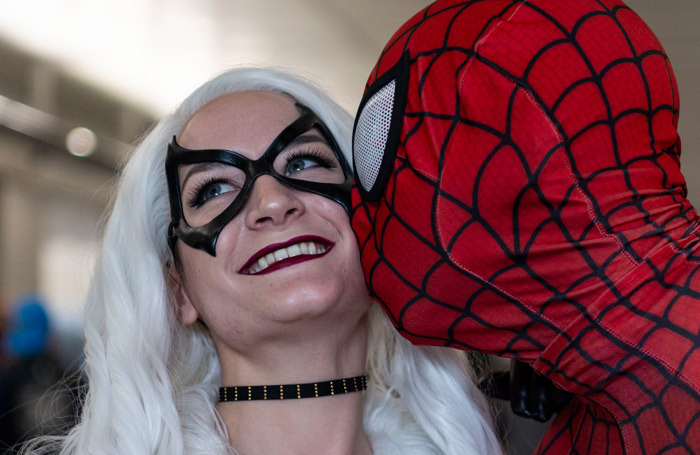 Whereas cosplay at the still-young BroadwayCon is yet to hit its stride, at Comic Con in all directions there are people dressed as characters from the Marvel or DC comic universes, or drawn from anime or simply the wearer’s imagination. Some cosplayers even hand out business cards with their Instagram and Facebook details. Comic Con costumes are not regulated to just comics or even films, although there is a preponderance of Spider-Men, Harley Quinns, and Wonder Women roaming the vast floors of the Javits Convention Center. 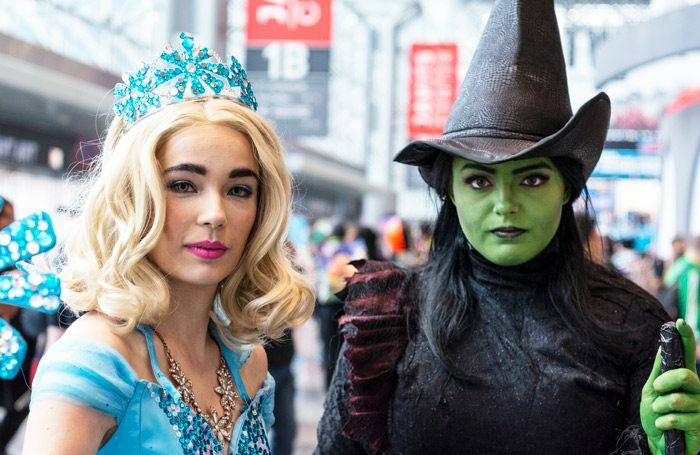 During this past weekend’s New York Comic Con 2018, I spotted two young women as Elphaba and Galinda from Wicked, seemingly having arrived at the wrong convention. 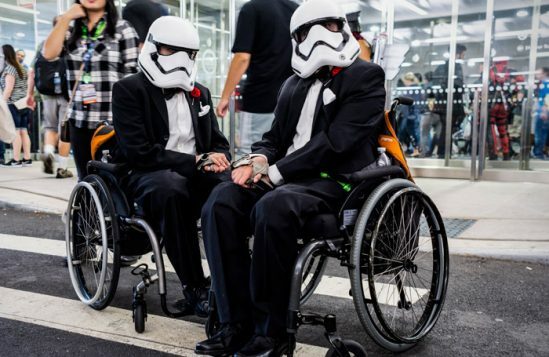 They told me they were actors, and that they saw their representation of Broadway in a sea of superheroes as a subversive act. 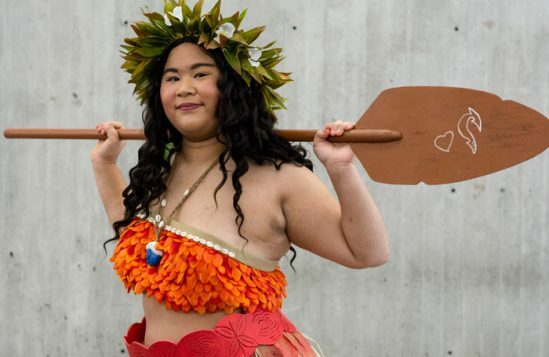 They noted that their peers in the theatre weren’t into cosplay precisely because they get paid for getting into costume – so for most, doing the same thing as a hobby didn’t make sense. 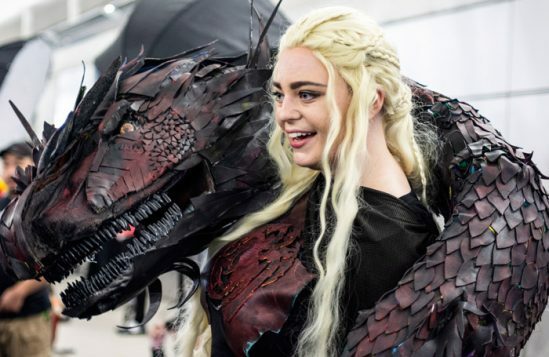 That said, one elaborately steampunked young woman spotted in a largely empty subway station near the Con on Thursday evening turned out to be a theatrical dresser – a member of the Broadway wardrobe union. The cross-breeding of animated films into stage works, particularly within the Disney canon, yielded some Comic Con blending that may or may not have been theatrical in nature. A photo from one of Broadway’s most prominent publicists showed an attendee done up as Lumiere from Beauty and the Beast clearly drawn from the stage incarnation. Assorted Pink Ladies from Grease might have been channeling the stage musical, but the film and its stage incarnations have become so intertwined that it’s almost impossible to tell. 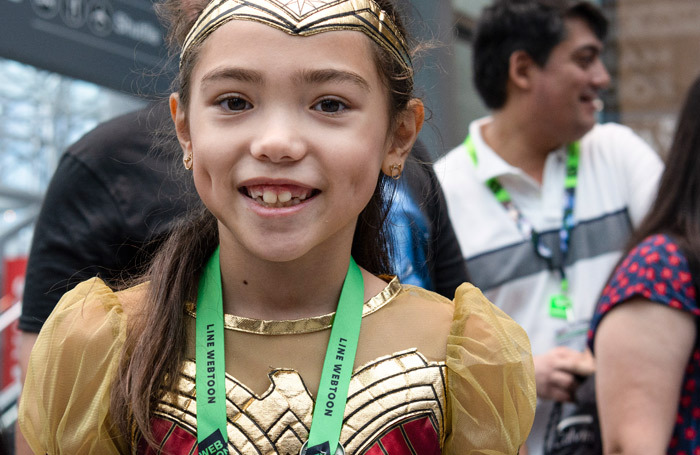 What is evident throughout Comic Con is a broad sense of acceptance, as attendees marvel at one another’s creativity. It is not uncommon to find one costumed patron photographing another, or two people meeting up and handing their camera phones to passersby to capture moments when characters, and worlds, collide in surprising and happy ways. I am a non-cosplayer, but for me, the singular draw of Comic Con is the cosplay, as it feeds my photography habit with the opportunity for fleeting, unique portraiture. Many wait in lines for panels and presentations, while I spend hours in the common areas, looking for the next great image. They arrive as if on schedule, every minute or so. 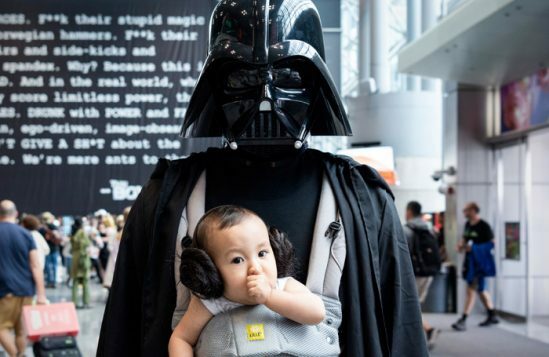 On my one previous ComicCon visit, in 2015, I hadn’t noticed that the last of the event’s four days was designated as Family Day, with steeply discounted rates for children. 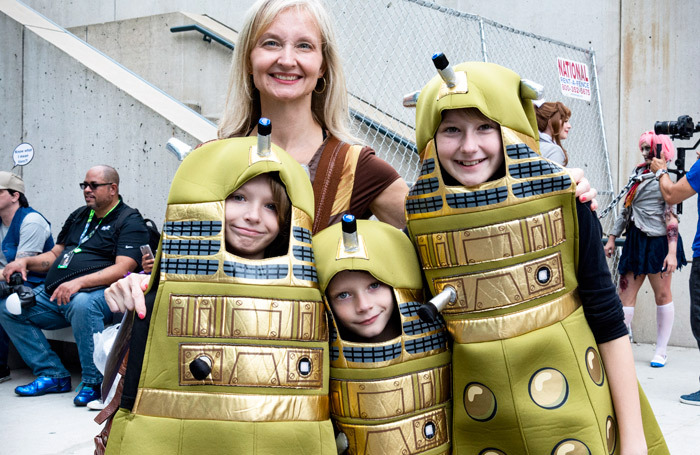 Families came out in force, and in costume. 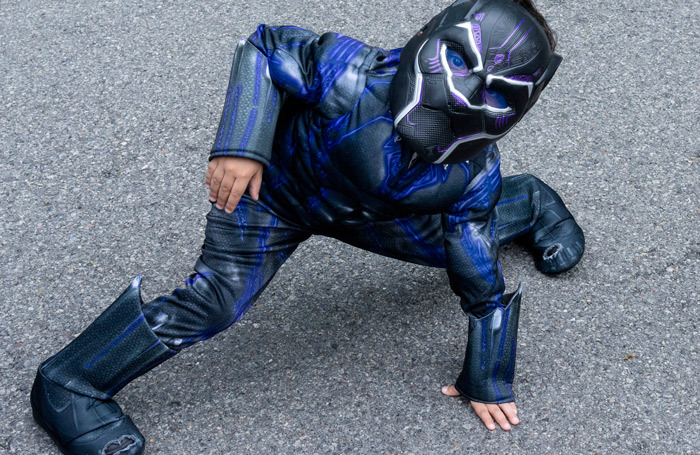 As a result, it all took a decidedly adorable turn, as tiny Black Panthers and miniature Doctor Stranges mingled with the adult cosplayers. Families even came fully themed, with Ghostbusters and the Incredibles ensembles roaming the halls, both big and small. The discount for kids may have been a commercial decision on the part of organisers, but it was also shrewd for the comics and film industries as it indoctrinated younger audiences into this explosion of fandom. 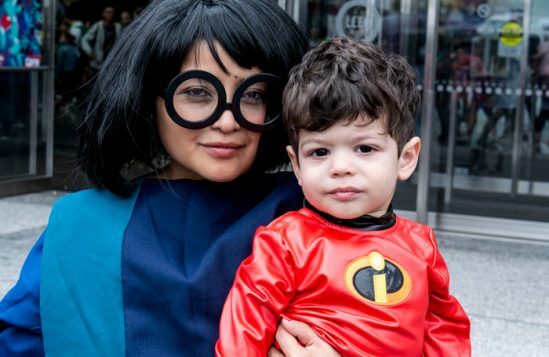 How wonderful it would be to see pint-sized Nathan Detroits and Dolly Gallagher Levis at BroadwayCon. 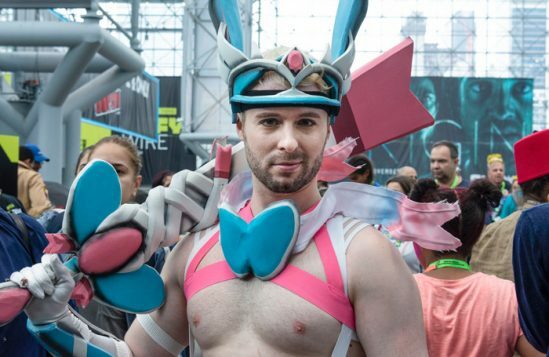 In the wake of the postponement of the UK’s first StageCon – reportedly over pricing – there may also be a lesson in the value of shrewdly priced tickets to ramp up participation. 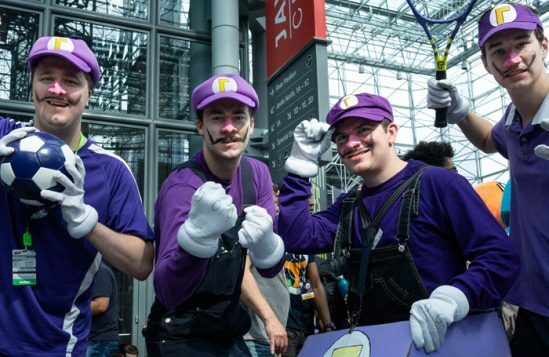 Admittedly, the various comic conventions in the US are significant financial ventures. The movie and TV studios turn out in force to promote their latest productions with expensive campaigns and displays. While individual Broadway shows may struggle to match such largesse, Comic Con, especially the New York edition, offers opportunities for Broadway as well. 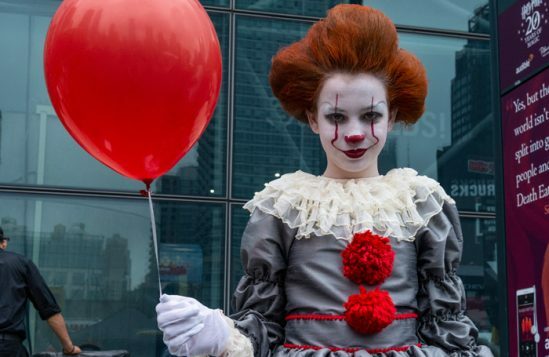 With the Beetlejuice musical about to begin its out-of-town tryout in Washington DC and King Kong now thumping his chest nightly where Miss Saigon’s helicopter once landed, a Broadway presence at Comic Con wouldn’t be out of place and could be a significant platform for shows that align with the fairly broad aesthetic of the event. Aladdin, Frozen and Anastasia would all be right at home at Comic Con – and able to market themselves to patrons who aren’t necessarily the avid theatregoers of BroadwayCon, but are perhaps open to other entertainment options that aren’t on screens or on the printed page. And if they then show up at Broadway shows in costume, so what? Maybe dressing up for the theatre shouldn’t be limited to the countless little girls I see on 44th Street most matinee days, done up as Elsa and en route to Frozen. Alexei Kaye Campbell’s Apologia arrives at Roundabout Theatre’s Off-Broadway venue on Tuesday, with Stockard Channing reprising the role she played at Trafalgar Studios last year, but this time under Daniel Aukin’s direction. She is joined by Hugh Dancy and John Tillinger – in his first major appearance since working with Channing in A Day in the Death of Joe Egg 30 years ago. Jane Anderson, a playwright who became well-known as an award-winning writer of television films, brings a unique perspective on the story of Joan of Arc to The Public Theater this week. She focusses her new play on, as the title suggests, not the sainted Joan but rather on the Mother of the Maid. Glenn Close plays the title role, under Matthew Penn’s direction. The production opens Wednesday. Christine Lahti plays the title role in Gloria: A Life, Emily Mann’s bio-play about groundbreaking feminist Gloria Steinem, making its premiere Off-Broadway on Thursday. Diane Paulus fittingly directs the all-female company, which also features an all-female design and producing team.